Secret Teacher -Teaching not in crisis, says Nicky Morgan. Stop sniggering at the back! As someone in charge of education, surely some things may be a hint you may not be presiding over the most glorious era of our schools’ history. Firstly, the fact teachers are leaving the profession not in a trickle, but in a flood. People who have done a fine job for years are now obliged to give up the job they once loved and lived for. Secondly, parents are now in open revolt over the latest ludicrous round of SATs tests. The parents, children, and teachers all know these tests do nothing to benefit the children. They are, like so many utterly wrongheaded wheezes thought up by the educationists, only of benefit to the folk paid handsomely to think them up and the printers who publish them. Our vocation has been tainted, trampled on and devastated by successive policies are removing the joy of teaching and the joy of learning. Thousands of teaching hours across the nation are squandered daily on the nonsense that is SPaG. It even sounds gruesome, like some generic name of any unknown object which may once have been food now found behind the back of the fridge. Terms are taught which nobody ever uses. Children who, in some cases, do not speak in full sentences, are expected to grapple with modal verbs and determiners (another awful word). Other skills, which were previously taught to children much older, have now been moved down to the expectation of lower year groups. This sadly means children not taught under the new curriculum taking their Year 6 SATs this summer will not have been taught the material for Years 1-4, as it hadn’t been made up then. It is no exaggeration to say children are being set up to fail. So, too, are teachers. 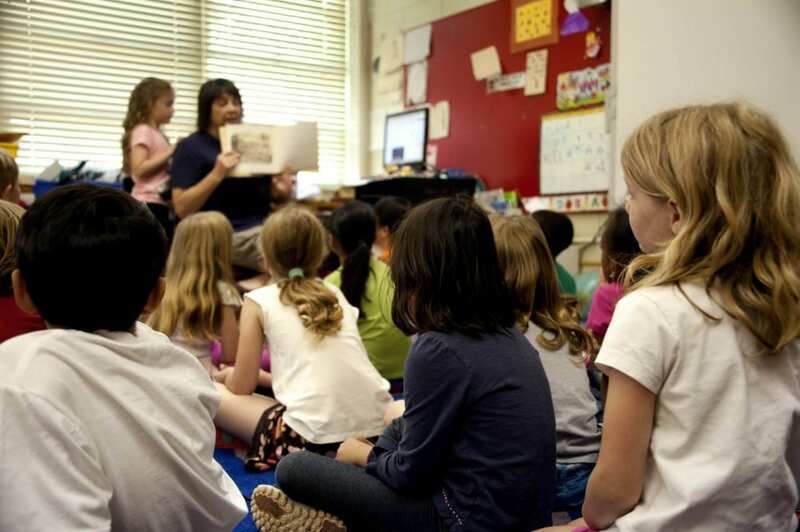 Many teachers have to reach certain levels of child attainment to gain a salary increase. Since the government have made the tests so inaccessible and so much more difficult for most adults, never mind 7-11-year-olds to pass, many teachers will potentially lose thousands as a result. Speaking for myself, since my pension contribution was increased, I have been taking home less each year two years on the trot. As it stands, I can claim a pension at 68. I may not be able to control my own bladder at 68, never mind a class. SATs – it’s ludicrous. Education should be there to help children become well-rounded adults with a broad range of skills and knowledge and, most of all, have a love of learning and curiosity about the world. These assessments waste teaching time, demoralise children, parents and teachers. Salary – for the hours teachers put in, the responsibility we are given, the sacrifices they make for their job, often at the expense of their own families and spouses, many simply decide it truly isn’t worth it. The effect on our mental health is not worth the price. Recruitment – the bar has been lowered so much due to teacher shortages. I have seen some genuinely pitiful and distressing sights when I’ve had student teachers in my classes. Truly scary stuff. Teachers care. It’s why we are there. We have to get through so much material in so little time, the kids feel the pressure, we are all under pressure to deliver results in increasingly Stakhanovite targets. Behaviour – the fact the system is geared around removing autonomy for teachers, more children who would otherwise have still enjoyed learning despite relatively low achievement to their peers, will be increasingly turned off learning as they grow older and behaviour will worsen. Society is already breaking, and the behaviour in many schools is unrecognisable from 20 years ago. In essence, education is in crisis. From top to bottom. Nicky Morgan shows how remarkably inept she is as an orator, completely lacking in gravitas (the awkward chuckling when greeted with jeers at the NASUWT a classic example) and woefully out of touch with anything educational. So, when the KidsStrike3rdMay happens, teachers, parents and children unite over a big issue – our children’s future – we will, to quote our glorious leader Mr Cameron, all be in it together. I agree with most of what you say, and certainly in sympathy with the sentiments you show…………… BUT “They are, like so many utterly wrongheaded wheezes thought up by the educationists,”………….. What educationists? No one that I know of at my University supports them, no teachibg staff at any school I visit supports them. When we talk about them to trainee teaches they either groan or laugh. The people who thought these up, along with almost all Education poilcy in England, cannot, by definition, call themselves educationists.